Whew we’re starting off with the tough ones in this about me page aren’t we? Have you ever stopped to reflect on the question of who are you? Not such an easy question when you really dwell on it. Let me start with the easy stuff. 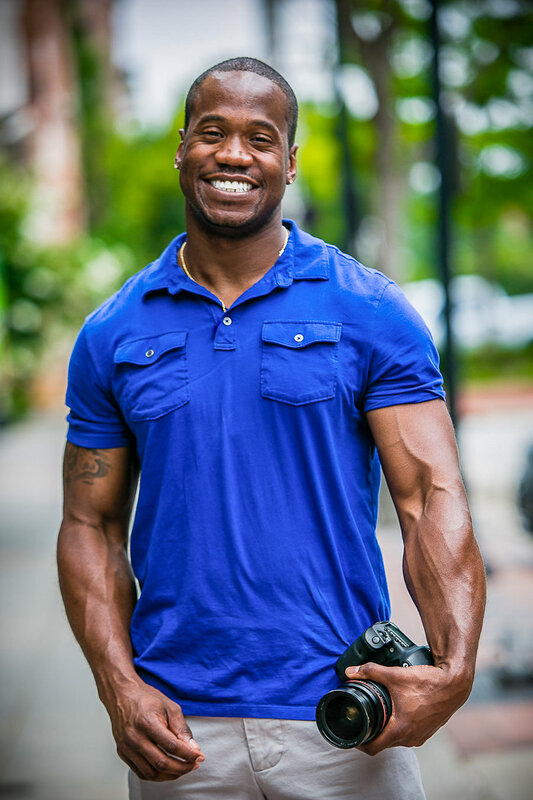 My name is Donnell Crear, I am a Greenville, SC based photographer, and I hope that I am the photographer for your needs. My name is often mispronounced as Danelle or Darnell, even by my closest friends and family. I’m not sure why, but I’ve found nobody is immune to it, including grade school spelling and grammar teachers who spend their days preaching the gospel of phonics. I’m serious about my work, but I always have a good time while going about it. I don’t really know what else to say about myself, but feel free to shoot me an email at info@donnellcrear.com if you have and pressing questions about myself or the correct pronunciation of my name. What do I love about being a photographer? Everything! OK that isn’t true, I really don’t care for the business aspect of things. I’ve learned that photography is a passion of mine that I’d gladly do for free. And there lies the problem, my wife won’t let me do it for free. Apparently there are bills to be paid and mouths to feed (our dog eats better than both of us), but I diverge. So what do I love about being a photographer? I love the feeling of knowing I just did something the average person with a camera isn’t capable of doing, capture the candid emotion of the moment. I absolutely love sitting down with a client afterwards and seeing the joy that my work gives them. There are fewer things in life more gratifying than seeing the reaction on someones face when they realize you’ve captured the essence of their personality in an image. How did I get started in photography? I probably got my start in photography through one of the more non traditional means possible. Long story short I was early in a corporate career and had just completed a rotational training program that required 60 hour work weeks. Once I regained some semblance of a personal life I didn’t know what to do with those newfound 20 extra hours a week. Anybody who knows me, knows that I don’t do bored well at all. My wife reminds me all the time that I fail miserably at the act of doing nothing. I needed a new challenge, and strangely enough the two challenges I had narrowed my choices down to were photography and learning to play the guitar. Looking back at it today I think I made the right choice. I mean honestly would I rather be a young and exciting photographer or a backup member in a mariachi band. I totally could rock one of those mariachi suits though.